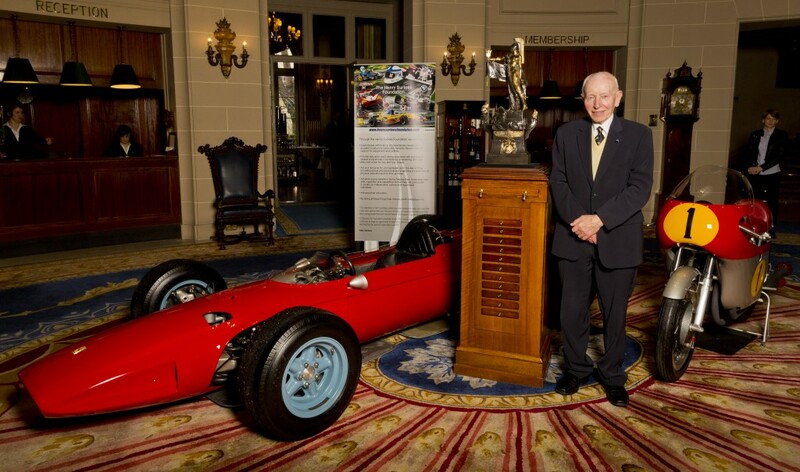 John Surtees OBE, the only man ever to have won World Championships on two and four wheels, is to be the Guest of Honour at this year’s Donington Historic Festival (May 3rd, 4th, 5th 2014). The motorsport legend will be at Donington Park on the Sunday and Monday of the event to celebrate the 50th anniversary of his famous F1 World Championship win in 1964 driving for Ferrari. John will be holding autograph sessions for spectators, giving them the chance to meet the holder of a motorsport record that has never been equalled. John Surtees steered his way into the record books by winning seven World Championships on 350cc and 500cc motorcycles with MV Agusta between 1956 and 1960 and then moving on to four wheels, taking the Formula One World Championship with Ferrari in 1964. He also drove for the BRM, Cooper, Honda and Lotus works teams and won the Nürburgring and Monza 1000km races with Ferrari and the 1966 CanAm Championship in the Lola T70 he helped develop. During a spectacular racing career which saw Surtees take victory in 290 of his 621 races, and a further 103 podium finishes, he also designed, built and raced his own Team Surtees single-seaters in F1, F2 and F5000. The 2014 Donington Historic Festival will be raising funds for the Henry Surtees Foundation which was inspired by John Surtees following the tragic death of his son Henry while competing in a Formula 2 race in 2009 when just 18 years old. You can win yourself a pair of tickets to the Donington Historic Festival here. The Donington Historic Festival offers world-class historic motorsport at family-friendly prices, with advance ticket discounts making the price of entry even more friendly. Advance tickets cost £20 for a Saturday, Sunday or Monday single day ticket, £32 for a Saturday + Sunday or Sunday + Monday 2-day ticket and just £45 for a 3-day weekend ticket. On-the-gate prices will be £25 for Saturday, Sunday or Monday single day tickets, £40 for Saturday + Sunday or Sunday + Monday 2-day tickets and £60 for the 3-day weekend tickets. Kids aged 13 and under are admitted for free. Advance discounted tickets can be bought via www.doningtonhistoric.com and through the 24-hour ticket hotline 0844 873 7355. Advance ticket sales close at 5pm on Wednesday, April 30th 2014.  There are also special discounts for members of car clubs that have registered with the Festival, and car club organisers are invited to register their club via the car club section on the event’s website to allow their members to enjoy these benefits. With close-fought racing every day, historic rally car and karting action and a ‘living motoring museum’ created by dozens of car clubs displays, plus a host of other entertainment and attractions, exhilaration and entertainment is guaranteed on every day of the Festival. One thought on "Donington Historic Festival 2014 to have John Surtees as Guest of Honour"